It's here. You have been waiting for this. that you may not even have thought about. There is no information like this anywhere. at a 50% discount. Limited time offer. Order now. Once this offer is over, it's over. I am in Canada I love that you have given allot of info on your website. 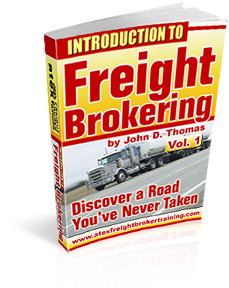 I would like yoy to send me the cds and books, guide lines how to enter Freight brokering.